In 1998, the Winn-Dixie grocery store closed its doors for the final time at its 2517 Phillips Avenue location. The shopping plaza it stood in lost other tenants and eventually fell into disrepair. So began the food desert in northeast Greensboro that lasted nearly 20 years. Today, in that exact same location stands a brand new grocery store – one that would fit anywhere in Greensboro – thanks to community leaders and neighbors. 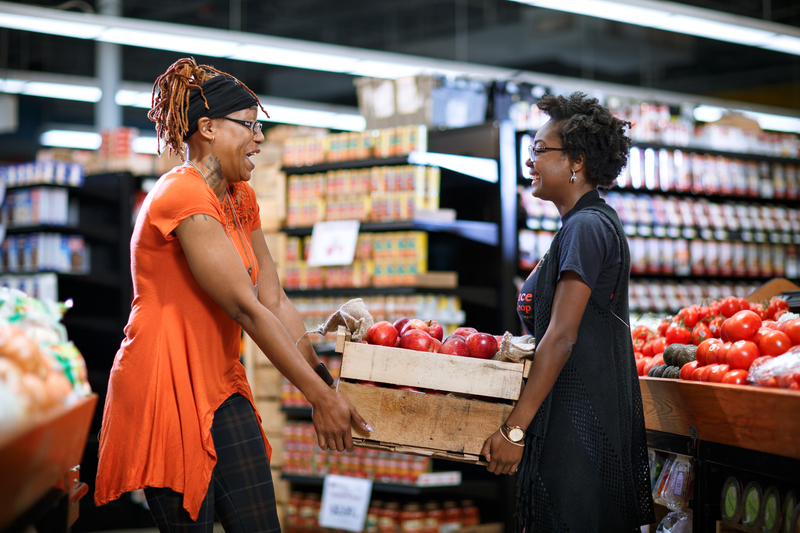 The 10,500 square foot, community-owned Renaissance Community Co-op is now providing good jobs, healthy living options and wealth for residents. This didn’t happen though without a lot of work from the community. 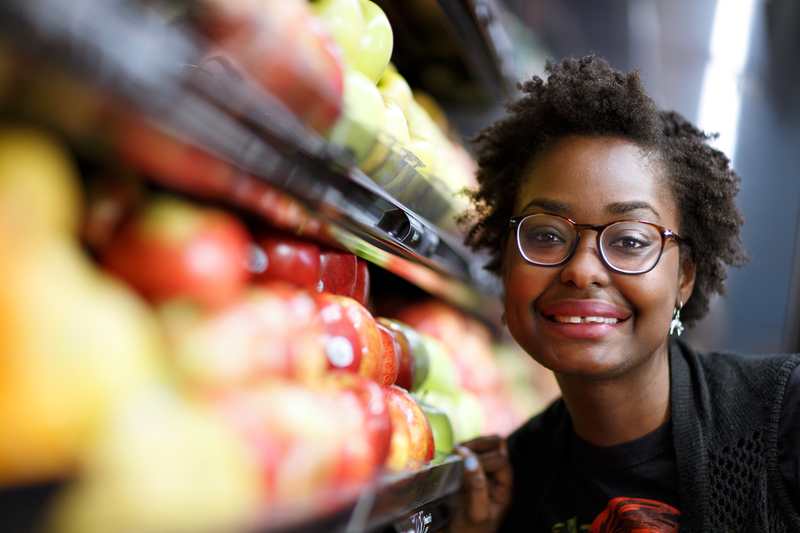 Not long ago, a young Haitian immigrant named Roodline Volcy was involved with the Fund for Democratic Communities and began hearing talk about a project to bring a cooperative grocery store to her neighborhood. 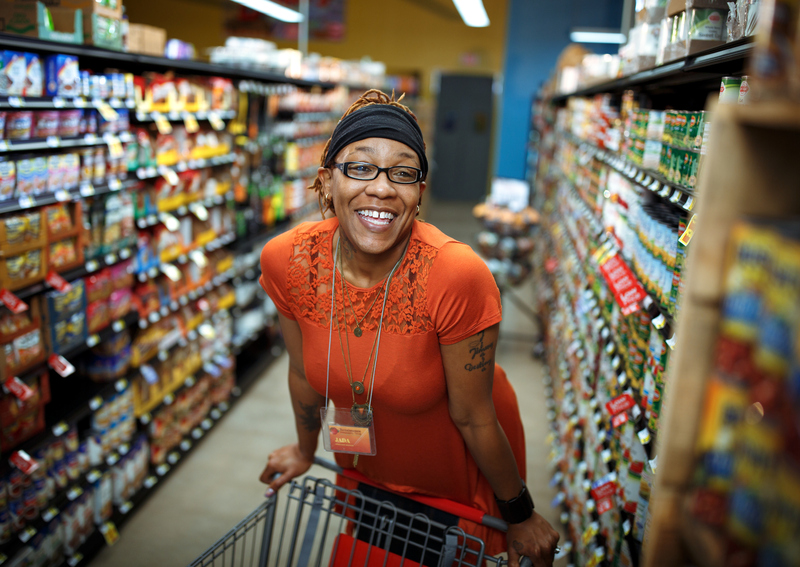 Now that the doors are open, Jada Dunn, the 39-year-old hospitality manager for Renaissance Community Co-op, makes sure everyone is on point and has a positive attitude to make customers feel welcome.